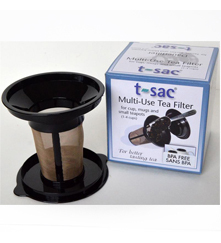 #1 fits single cups and mugs. Box of 100. Throw those old-fashioned tea balls away! 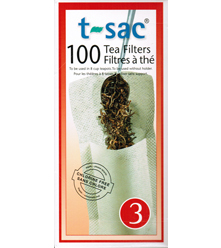 These convenient one-use bags allow your tea to expand when the leaves rehydrate. 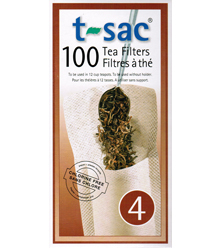 This allows better water circulation and the full flavor of the tea is released into the liquor. 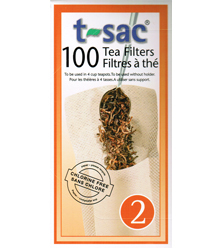 Take a box along with you when you travel and you'll never have to put up with stale hotel teabags again! Box of 100.